22 Jan-12 March. MAC Maja Arte Contemporanea presents Luna/Mond, an exhibition of recent paintings by Rome-based artist Margareth Dorigatti. 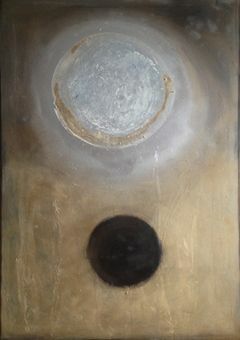 Her latest works are inspired by the moon, a subject that has fascinated alchemists and astronomers since ancient times. Originally from Bolzano, Dorigatti has exhibited in galleries and museums all over Europe. The exhibition is curated by Daina Maja Titonel, with critical essay by Kate Singleton.